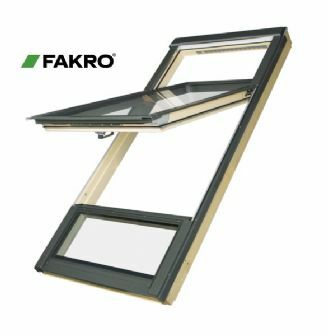 Buy your Fakro windows at trade prices today? 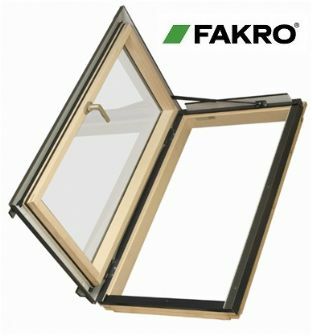 As a trusted trade partner we get a huge discount on the windows we purchase from the Fakro manufacturer. 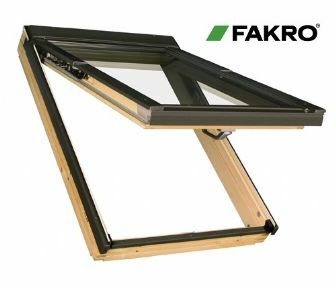 Here at Skylight Fitters we are in the business of professional installation and we’ve been Fakro Installers for the past few years. As an installers we decided to let our customer purchase their windows using our trade discount and it has been a success from day one. We save our customers many hours of researching the best price and 99% of the time they will not find the same windows cheaper anywhere else! 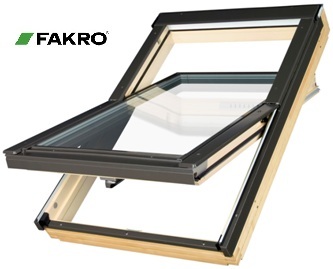 These Fakro Centre-Pivot Roof Windows are available in pine and white finish. Made of vacuum impregnated pine wood double-coated with acrylic lacquer. Elegant handle placed in the lower part of the sash provides ease of operation and two-step micro-opening facility. Installed in the roofs with pitches between 20º and 65º along with flashing complemented with a wide variety of additional accessories. A durable moisture resistant surface. Handle positioned at the lower part of the sash for easy operation; Opening method can be switched using the preSelect sliding switch. Taking out and re-connecting the sash, as well as window installation are identical to the centre pivot windows FT. Suitable for roofs with pitches between 15 and 55 degrees (when fitted with correct flashing). Wide range of accessories identical to those used with centre pivot windows. Note: Top Hung and pivot windows are of a modern, safe, functional and easy to operate design. Access roof windows allow easy access onto the roof to perform maintenance work or as an emergency exit, and also allow natural light to enter the room below. Manufactured from pine wood, vacuum impregnated, with two coats of clear acrylic lacquer. Handle positioned halfway up the sash for ease of opening. Suitable for roofs with pitches between 15° and 55°. Requires special flashings ELW, EZW, EHW and EPW (Note: flashings for pivoting windows are not suitable for escape windows). Comes with templates to facilitate installation. Wide range of accessories available, similar to that available for roof windows. The FW thermally insulated escape window is side-hung and therefore side-opening. Once unlocked, the sash can be opened to 90°. A gas piston, fitted in the top part of the window makes opening easier, holds the sash stable when opened and prevents it slamming shut accidentally. The escape window is available in two versions, right opening FWR or left opening FWL. Note: View from the outside to determine whether a right or left opening window is required. The large size of the escape window enables safe and easy access to the roof. These windows are recommended for all heated rooms.